Men are almost three times more likely to get oesophageal cancer than women – one of the biggest gender gaps in cancer rates – according to figures* released from Cancer Research UK, today (18 June). This difference seems to be caused by one particular type of oesophageal cancer – adenocarcinoma – which is linked to obesity as well as long-term acid heartburn or indigestion**. Oesophageal cancer is the ninth most common cancer in the UK. The latest figures show more than 5,600 men in the UK develop oesophageal cancer every year compared to 2,800 women. This equates to rates of almost 15 in 100,000 men getting the disease, compared to around 5 in 100,000 women. There are two main types of oesophageal cancer, adenocarcinoma and squamous cell carcinomas. Obesity, tobacco and long term acid reflux increase the risk of adenocarcinoma, while tobacco, alcohol and a diet low in fruit are the most common risk factors for squamous cell carcinoma. By comparison squamous cell carcinoma rates in both men and women haven’t increased. There were around 900 and 1000 cases diagnosed each year in men and women respectively in 2010****. 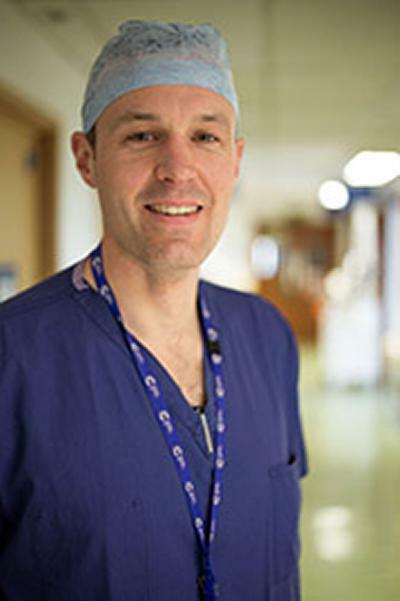 Tim Underwood, an oesophageal surgeon and researcher at the University of Southampton, said: “These figures show a worrying number of oesophageal cancers being diagnosed each year, particularly among men. “Diagnosing the disease earlier is key to improving the chances of survival. Food getting stuck when you swallow and persistent heart burn are not normal. If this is happening to you, you need to see your GP. The vast majority of people won’t have anything seriously wrong with them, but it’s important to get checked out. If left untreated, acid reflux – often called heartburn – can damage cells of the oesophagus leading to a condition called Barrett’s oesophagus which in turn can be a precursor of oesophageal cancer. “And there’s still so much more we need to understand about the disease. One of the most important research projects is unravelling the genetic code of oesophageal cancer. British scientists, funded by Cancer Research UK’s Catalyst Club, are working on this as part of the International Cancer Genome Consortium (ICGC). Dr Rebecca Fitzgerald, a Cancer Research UK scientist at the University of Cambridge, said: “Oesophageal cancer is on the rise, and sadly the outlook for this disease remains poor. But we’re doing all we can to buck this trend. The chances of surviving oesophageal cancer are greatly improved when it is diagnosed at an early stage. Patron of Cancer Research UK’s Catalyst Club, business entrepreneur James Caan, said: “The worrying increase in oesophageal cancer in men is a key reason why the Catalyst Club’s support for the International Cancer Genome Consortium (ICGC)’s vital work into unravelling the genetics behind the disease is so important. ** Long term indigestion or acid reflux could be a symptom of oesophageal cancer or Barrett's oesophagus, where the cells that line the oesophagus(?) change shape (metaplasia). Barrett’s oesophagus is also a recognised risk factor for cancer of the oesophagus. *** In England for males, European Age Standardised incidence rates for adenocarcinoma increased by 52 per cent from 6.2 per 100,000 men in 1995-1997 to 9.4 in 2008-2010. The rise is smaller for females in England, with rates increasing by 32 per cent overall from 1.4 per 100,000 women in 1995-1997 to 1.8 in 2008-2010. **** The two main types of oesophageal cancer are adenocarcinoma and squamous cell carcinoma. These made up 83 per cent of oesophageal cancer cases in 2008-2010 (55 per cent for adenocarcinoma and 28 per cent for squamous cell carcinoma). The remaining 17 per cent of cases are mainly cases where the exact type of cancer could not be determined.